Relatively few farmers today actively maintain crop biodiversity, but for most of the history of agriculture this was the norm. Archaeobotanical analyses can reveal the processes that led to the evolution of crop biodiversity throughout the Holocene, an issue of critical importance in an era of climate change and agrobiodiversity loss. Indigenous eastern North Americans domesticated several annual seed crops, called the Eastern Agricultural Complex, beginning c. 1800 BC. Using population morphometrics, this paper reports new evidence for the evolution of a domesticated sub-species of one of these crops, erect knotweed (Polyongum erectum L.), and its subsequent diversification under cultivation. Morphometric analyses were conducted on archaeological erect knotweed populations spanning its ancient cultivated range, and these were directly dated to c. 1–1350 AD, anchoring the evolution of this crop in both time and space. Domesticated erect knotweed first appears c. 1 AD in the Middle Ohio Valley. A diachronic series of populations from western Illinois shows that this species was domesticated again c. 150–1000 AD. 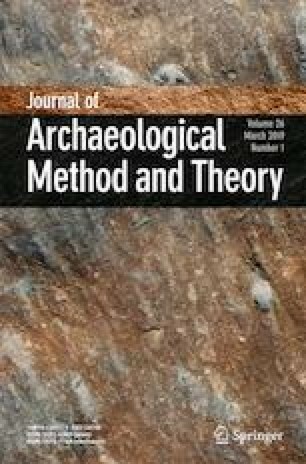 This study shows how agricultural knowledge and material were maintained and shared (or not) by communities during an important era in eastern North America’s history: when small communities were aggregating to form the earliest urban center at Cahokia, in the American Bottom floodplain. A distinctive landrace was developed by farmers in the American Bottom which is significantly different from cultivated populations in other regions. Subsequent Mississippian assemblages (c. 1000–1350 AD) indicate divergent agricultural communities of practice, and possibly the eventual feralization of erect knotweed. Archaeobotanical studies have a vast untapped potential to reveal interaction between communities, or their isolation, and to investigate the evolution of crops after initial domestication. Funding for this research was provided by US National Science Foundation Doctoral Dissertation Improvement Grant #58292. I would like to acknowledge the many people who contributed to this project by giving me access to collections under their care, and by sharing their knowledge with me through the wonderful communities of practice that are Eastern North American botany and archaeology. I would like to thank Bruce Smith, Mary Suter, Mary Simon, David Pollack, Jack Rossen, Neal Lopinot, Michael Meinkoth, Dee Ann Watt and John Kelly and the staff at the University of Arkansas Museum, the National Museum of Natural History, the Illinois State Museum, the Illinois State Archaeological Survey, the Missouri Department of Transportation, and the William S. Webb Museum of Anthropology for helping me gain access to these archaeological assemblages. Jim Solomon of the Missouri Botanical Garden Herbarium and Rusty Russell of the National Herbarium granted me access to herbarium specimens. Paul Krautman and Michelle Vogel allowed me access to their property to sample from living plants, and I have also benefited greatly from their enormous plant knowledge. Special thanks to Gayle Fritz, and to T.R. Kidder, Xinyi Liu, Ken Olsen, Fiona Marshall and the members of the Cornell Institute of Archaeology and Material Studies for their invaluable comments on earlier version of this paper. Elizabeth Horton, Kelsey Nordine, and Andrew Flachs assisted me in the search for erect knotweed, and our conversations on these expeditions and at other times contributed substantially to the content of this paper. Finally, I would like to acknowledge Nancy Asch Sidell and David Asch, whose meticulous research on erect knotweed sparked this entire project. Wales, N., Akman, M., Watson, R., Sanchez-Barreiro, F., Smith, B. D., Gremillion, K. J., Gilbert, T. P., & Blackman, B. K. (2018). Ancient DNA reveals the timing and persistence of organellar genetric bottlenecks over 3000 years of sunflower domestication and improvement. Evolutionary Applications. https://doi.org/10.1111/eva.12594.